This milky serum visibly improves skin texture with a high-tech cocktail of pore-refining targeted ingredients. Day after day, pores are tightened, skin texture looks finer and the complexion is more even. Results: Skin texture is renovated, smoothed and refined, the pores are smaller. A matifying sugar that immediately absorbs and traps sebum like a micro-sponge to reveal matte skin and minimized pores. After 1 hour*, the level of sebum on the surface of the skin decreases. This effect lasts for 5 hours* after application. 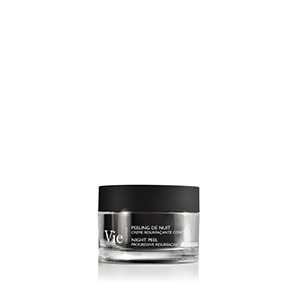 It also reduces overall shine on the face for improved skin texture. After 1 hour* skin shine decreases. 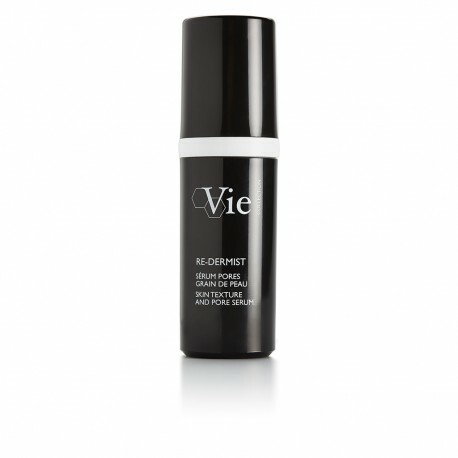 This effect lasts for 8 hours* after application without drying the skin. Results: The skin is matte and pores are tightened and less visible. Results: Skin structure is reinforced and the pores are restructured and less visible. *Satisfaction test conducted on 24 women, twice-daily application for 28 days. **Evaluation of the astringent effect by Dermatop® on 24 women, twice daily application for 28 days. *Satisfaction test conducted on 24 women, twice-daily application for 28 days. A super-lightweight, milky serum that melts on the skin upon application and leaves a soft matte finish. RE-DERMIST is an oil-free, non-comedogenic and non acnegenic formula. A subtle fragrance of green top note with plant sap enhanced with floral middle notes. AQUA (WATER) / EAU, DIMETHICONE, BUTYLENE GLYCOL, DIPROPYLENE GLYCOL, METHYL METHACRYLATE CROSSPOLYMER, HYDROXYETHYL ACRYLATE/SODIUM ACRYLOYLDIMETHYL TAURATE COPOLYMER, PHENOXYETHANOL, PPG-5-CETETH-20, POLYSILICONE-11, GLYCOLIC ACID, CYCLODEXTRIN, CHLORPHENESIN, AMMONIUM ACRYLOYLDIMETHYLTAURATE/VP COPOLYMER, OLEA EUROPAEA (OLIVE) FRUIT EXTRACT, PARFUM (FRAGRANCE), UREA, GLUCOSAMINE HCL, SODIUM HYDROXIDE, LAMINARIA DIGITATA EXTRACT , SACCHAROMYCES CEREVISIAE EXTRACT, SILICA, POLYSORBATE 60, SORBITAN ISOSTEARATE, PLANKTON EXTRACT.